Travelling Swaziland is (relatively) safe. 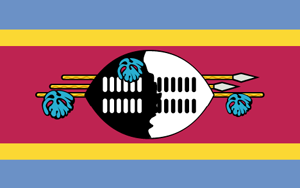 Swaziland is a country in Africa (Southern Africa) with around 2 million citizens and a land mass of 17,363 km². We detected travel advisories from 3 sources for this country. Swaziland shares land borders with South Africa and Mozambique. For these countries, the individual warning index is 2.6 (South Africa) and 2.2 (Mozambique). See danger map of the region. Exercise normal precautions in Eswatini. Read the Safety and Security section on the country information page. The Ministry for Foreign Affairs and Trade Promotion (MFTP) advises Maltese citizens travelling to Eswatini to exercise caution. Even though the political situation of Eswatini is generally stable, the country experiences occasional political demonstrations. Certain political parties have been banned and designated as terrorist organisations. It is important for travellers to avoid demonstrations and other gatherings, as these can be forcefully tackled by police forces. Terrorist attacks cannot be ruled out, and these could occur in places visited by tourists.